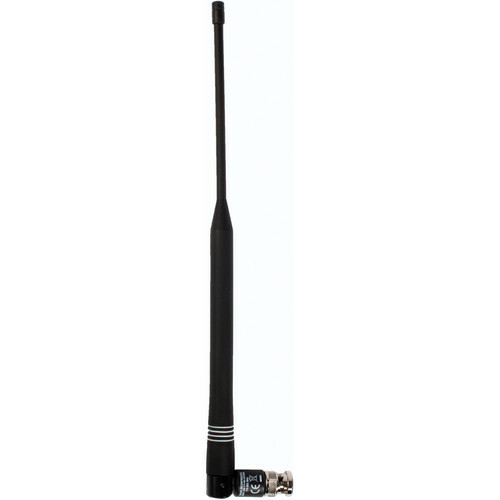 The UA8 1/2 Wave Omnidirectional Receiver Antenna (572-596 MHz) from Shure is for connecting to Shure wireless receivers. It is compatible with the UHF-R, ULX, SLX, ULX-D, and BLX4R receivers and PSM transmitters. It features 0, 45, and 90° positioning for increased stability. The UA8 antenna is built with a BNC connector to connect to the receiver or PSM transmitter. Box Dimensions (LxWxH) 13.0 x 3.3 x 1.4"